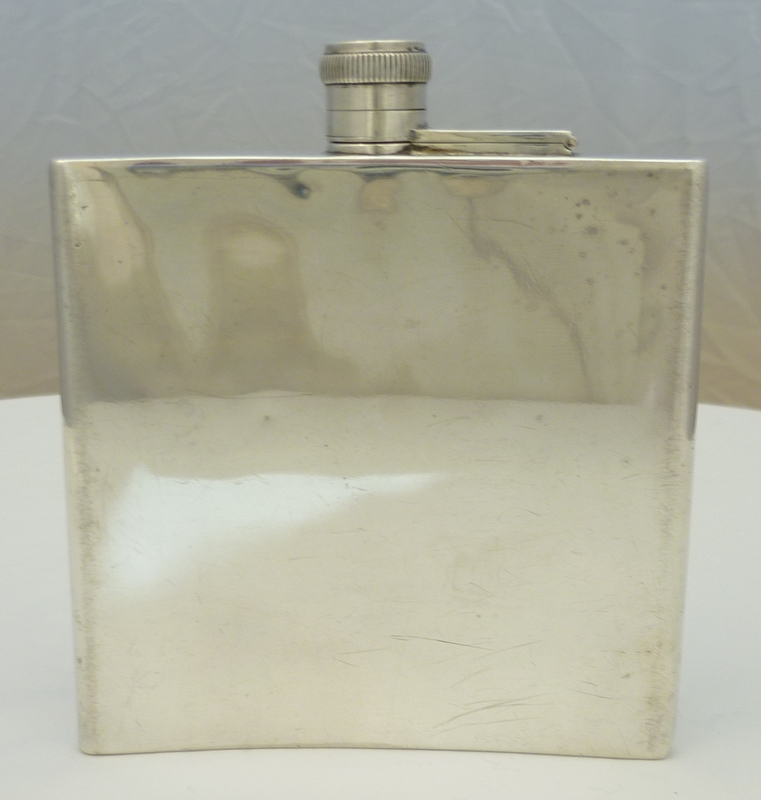 DESCRIPTION High quality and perfectly useful solid sterling silver pocket flask. 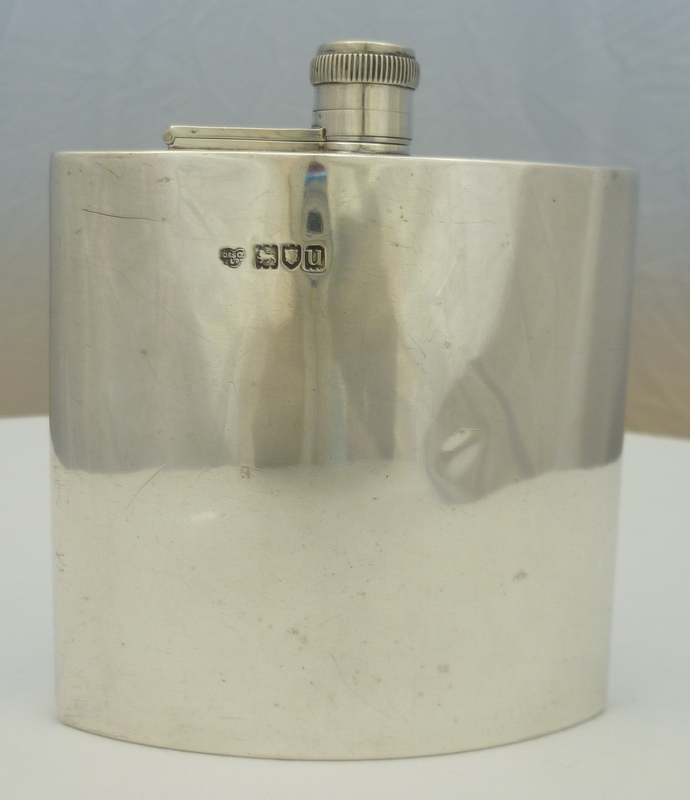 Securely holds 6 UK fluid ounces or about 170ml. SILVERSMITH Goldsmiths & Silversmiths Co.